The Victorian period saw many major developments that made life easier for the people in those times. With so many inventions happening at the same time the world seemed to get smaller and smaller. The Victorian era was a critical time for inventors who paved the way for the creation of many important components that created a more modern life. Samuel Morse was the inventor of Telegraph. It was used as a system of dots and dashes to represent letters used in relaying messages. He first conceived an electromagnetic telegraph in 1832 and made an experimental version in 1835. In 1844 he produced a telegraph key to make the system more practical. Within ten years after the first telegraph line opened 23,000 miles of wire crisscrossed the country. Alexander Graham Bell is probably one of the most well known of Victorian era inventors. He invented the Telephone. 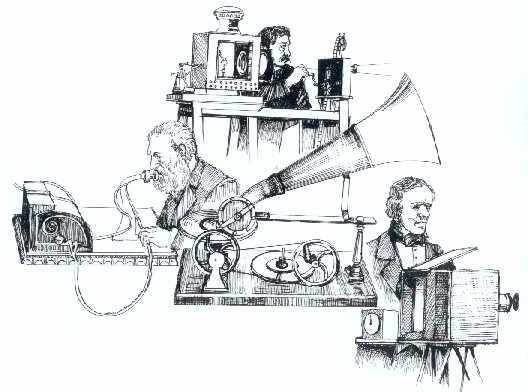 The first clearly transmitted sound was between Cambridge and Salem, Massachusetts, on November 26, 1876. 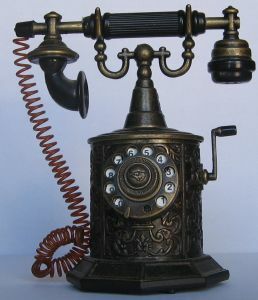 Although the telegraph has become outdated, the telephone is still used in everyday life. It was a huge contribution to the human race as in today’s life it is almost impossible to think of life without the telephone. The Light bulb was invented by Thomas Edison. After this invention, the electric light started to replace the dim, yellow gas light, oil lamps, and candlelight. The very first vacuum cleaner was invented by Hubert Cecil Booth (1871-1955). While working as an engineer, he designed Ferris wheels and Royal Navy battleships. Guglielmo Marconi invented the radio. He made a radio wave transmitter using sparks and a receiver to pick the waves up and turn them into electricity again. This electricity was then turned into sound. In 1901, he managed to send signals from England to America. One of the most popular, and memorable for his name, is Thomas Crapper. Crapper was a plumber and founder of the Thomas Crapper & Co. Ltd. in London. He is credited with the flush toilets rise to popularity and acceptance, as well as his assistance in some related inventions. John Boyd Dunlop invented the first pneumatic (inflatable) tire. Fredrick Walton was a rubber manufacturer. He invented linoleum which was used for the floor and wall covering. Walton received a British patent for his invention after 3 years. Sir Charles Wheatstone was a scientist and invented stereoscopic imaging, a predecessor to what is considered 3-D imaging today. Alexander Parkes invented the first man-made celluloid (plastic) in England in 1856. Besides plastic, Parkes was also the inventor responsible for a patented process of de-silvering lead which proved to be a more cost-effective method of removing the zinc from the lead in a liquefying process. Isambard Kingdom Brunel has contributed towards the creation of the Great Western Railway, tunnels, bridges and ships. 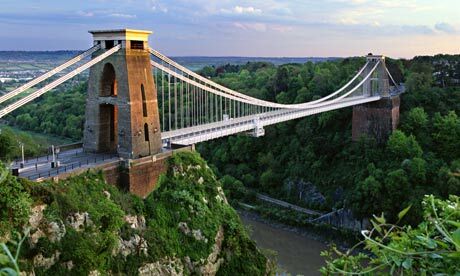 Brunel is credited with building dozens of bridges throughout the UK, including one of the oldest wrought iron bridges, known as the Windsor Railway Bridge. Another railway inventor of the Victorian era was George Stephenson, a mechanical engineer, who also goes by the name father of railways.